When it comes to the available options in condo living, the future is now. Today’s condos cater to every lifestyle, and age group. The present condos coming to market have more exciting layouts, architecture, design and spectacular finishes. Condos make great starter homes, homes for those who are downsizing, homes for urban working professionals, and homes for small active families. The convenience of owning real estate, without the maintenance of land (i.e. landscaping, shoveling snow, etc.) is what attracts so many to the condo lifestyle. 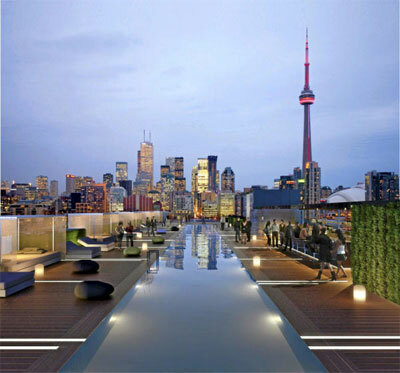 Location is also key, as condos are perfectly located in the downtown core, where so many Torontonians work and play. Condos come with a variety of amenities, such as a pool, gym, theatre room, games room, party room, Yoga studio, roof-top terrace, 24 hour executive concierge service, and much more.